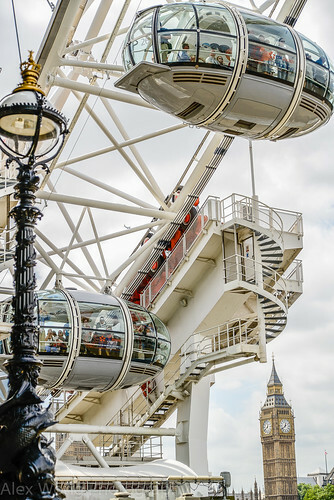 I recently returned from a week trip to London which gave me the opportunity to catch up with friends and relatives who reside in that part of the world. It also gave me the chance to catch up with some English eats, food that I grew up on during my high school days in a British all-boys boarding school. Most of us would turn our noses up when mentioning this Continental cuisine, and my classmates and I did stage a food strike in school, the only one in its history as a school (it has closed down not too long ago). However, there is a lot to redeem itself from such maligned status, and I indulged in some typical English food which most would take for granted. This was my culinary journey. One single dish that definitely comes to mind when mentioning British food is Fish and Chips which I longed for during my visit. On a day trip to the enormous British Museum, I asked a London Underground employee where I could get some decent lunch. I knew he would lead me to a proper shop liken to asking a cop where to find some fresh donuts. Entering the shop, it was quite empty since it was still quite early for lunch at it was sweltering outside and inside (most establishments do not have AC). The cook assured me that he was going to make me a fresh batch of fried fish when I placed my order. 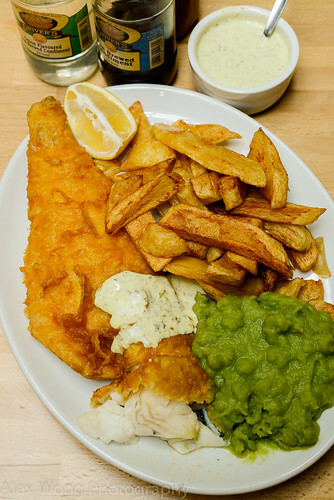 The plate arrived with some lightly battered moist Cod accompanied with some chips (fries) and my perennial English favorite, Mashed Peas, which conjure up some vile thoughts among most Americans. The fresh tasting house tartar sauce was the perfect partner to the mild fish which was packed with fresh dill. The chips were proper and a heavy dousing of malt vinegar (a must!) hit the right spot for me. As for the mashed peas, I couldn’t get enough of it. This is definitely a must-have for those visiting across the waters. Just don’t be surprised that an immigrant is running the shop, as was the Albanian for my lunch. If you happen to be around the British Museum, check out Alen’s Fish & Chips. For one of my lunches, I met up with an Aussie-Malaysian that has become an expat in this metropolis for the last year. Although we were still struggling with the heat, or the lack of cool places, we elected for a pie shop. 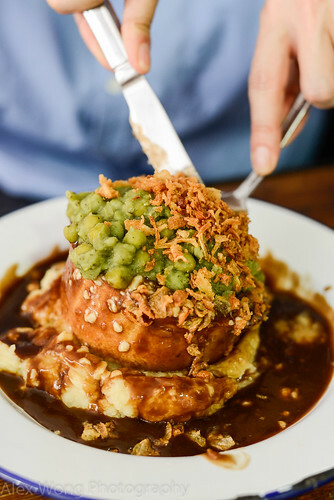 Pieminister has one of their branches located in Farringdon, the heart of London’s Business District. 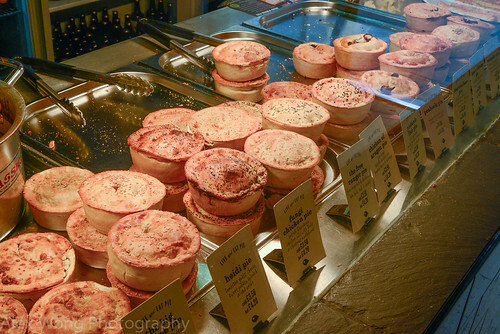 Looking at the array of pies, I picked something I ate during a rugby trip more than 30 years ago – Steak and Kidney. Each order of pie came siting on a mound of mashed potato, topped with cheese curds, mashed peas and fried onions, swimming in a pool of savory sauce in a retro enameled metal plate. The pie was exactly what I expected, meaty with melting chunks of beef, a bit bitter from the organ meat, and savory from the rich thick gravy inside. The other sides were decent, but they brought this simple dish a bit over the top, especially in this heat. It would have been the right dish in the cold winter but I had to get this fix in on this trip. Well, something lighter and more digestible for the summer heat is an English Sandwich. Yes, the simple bread and filling concoction that would make most roll their eyes. Well, the English are famous for making fantastic combinations of this light meal that are easily available everywhere during these hot months from the Public Houses (aka Pubs) to the grocery stores. 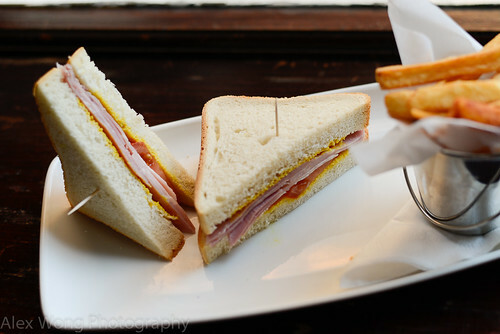 A visit to a pub for a lighter fare after the monstrous pie meal was rewarded by a menu featuring some sandwiches. My order came with slices of hearty country white bread (not the spongy Wonderbread crap) filled with some quality Wiltshire ham, with a clean and barely salty flavor, and slices of ripe tomato. But what makes the sandwich British is the slathering of pungent British mustard that is biting enough to clear the sinuses. Other favorite combinations that I have savored in the past are the classic Buttered Cucumber Sandwich and the Cheese and Chutney version. Try these different light bites when visiting the Isles in the warmer months. What’s is the next meal after lunch around these areas? No, it is not dinner but tea. When it was a bit cooler, my cousin treated me with some of her baking and she made some Scones for teatime. Round pillows of short and buttery dough have been baked with a firm outer crust but soft and light when split open. My cousin noted that the secret to making scrumptious ones is the use of a nutmeg in the mix. To top of this pastry, she added some clotted cream, much like a thick whipped cream akin to mascarpone cream, but more of a buttery flavor. To sweeten the deal, a huge dollop of fruity jam topped it off. A good cuppa (cup of tea), stronger than the American version, with a touch of milk makes the perfect drink to go with these tasty bites. 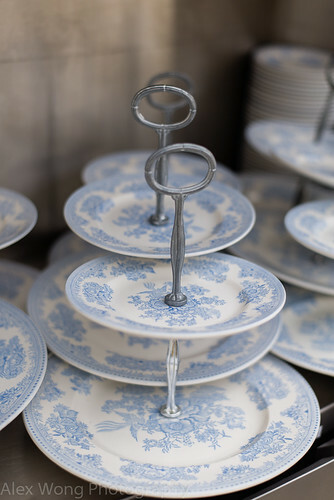 Sorry, but I forgot to take a photo of the scones, but in lieu, I am posting a photo of some tea servers I came across at the British Museum. On my last night, I met up with a former classmate that attended boarding school with me 30 years ago. He and his girlfriend met me up at the tourist-packed Piccadilly Square, and we walked to Chinatown looking for some quality Chinese food that it is known for. Looking at a throng of people waiting outside its doors, we decided to chance it and walk into Four Seasons on the busy Gerard Street. 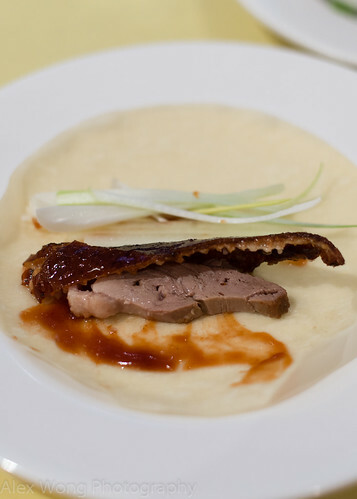 For our appetizer, we ordered the Peking Duck – the meat was flavorful and the lacquered skin, the most important part, well rendered and quite crispy, making the wraps delectable and irresistible. 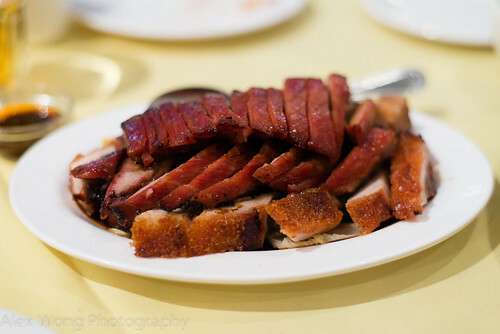 For the mains, part of the meal was a combination of Chinese Roast Pork and BBQ Pork. My friend and his gal were constantly reaching for this dish during the meal mainly due to the skillful seasoning and cooking of these cuts of meat. The BBQ version was glazed with a sweet and savory sauce, and the Roast Pork pieces were slightly salty and made crispy from perfectly cooked and crunchy crackling. The pool of addition sauce under the meaty mound was scooped up and poured over our bowls of rice until its last drop. 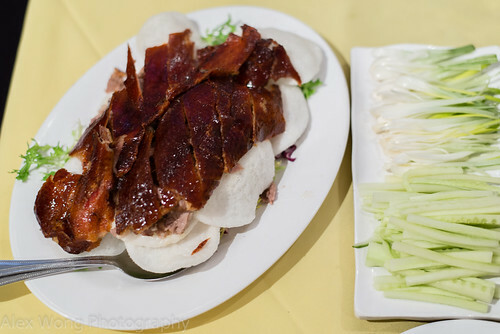 These fine dishes took me back to my youthful trips to London in hunt for excellent Chinese food as a relief from the trying boarding school fare that were served (hint – hunger strike). What comes after the mains around here? No, not necessarily sweet desserts but a Cheese Plate. A visit back to my high school brought back lots of memories, from the train station and little village that has not changed in 30 years, to the ride up the hill that I used to trek up with my luggage, to the school that housed a lot of my memories of my early teen years, and the wonderful monks who still remembered me after countless of students that walked through its hallways. One memory was having a Cheese Plate on special feast days for our lunches. 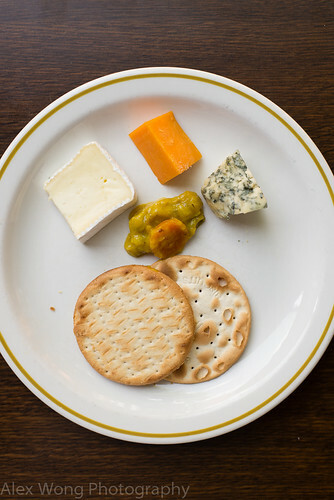 Different cheeses were usually served with Cream Crackers and a vegetable pickle called Piccalilly, something that I had not touched in 30 years but was resuscitated in my memory bank on this trip. Somehow, I always manage to fit in a few slices of Stilton, Aged Cheddar, and Brie before dessert. For the pudding or dessert lover, ok, here are a couple of them. 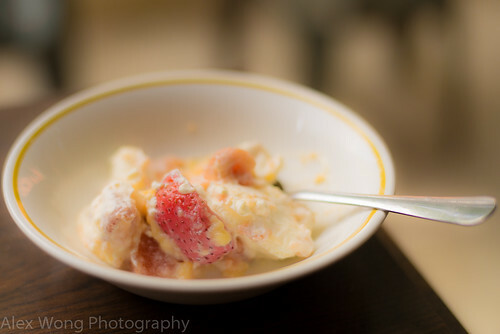 The first is Trifle, a mixture of cut fruit, whipped cream and pastry cream or thick custard. This is a combination of the freshness of seasonal fruit, sweetness of the custard, and the richness of the cream, all brought together in one single bite. Not the most beautiful looking dessert but it is indeed satisfying. 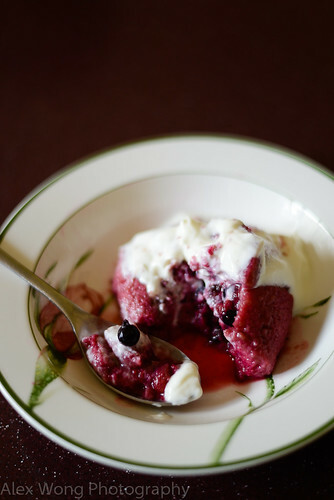 Another sweet ending at this time of the year is Summer Pudding, consisting of white bread that has been soaked by the juices from a compote of different berries. The bread will have taken the sweetness of the berry juices, holding together the fruit bits that can be topped with some sweetened whip cream or yogurt. You can get good renditions of these desserts in the local supermarkets if you are too bothered to make them. Walking around London, I noticed people hanging around outside of pubs while holding a pint of their favorite beverage, trying to stay cool from the uncomfortable heat. On my few visits for a cool down, I ordered some Hard Cider, a drink that is not easily found on this end of the Atlantic Ocean. The American version of cider is a dealkalized version of the UK drink, much like unfiltered apple juice. But the Continental version has a bit of alcohol punch and it is served very cold, much to my relief on those warm days. These days, these apple brews come infused with different fruit flavors which I found revelatory on this trip. 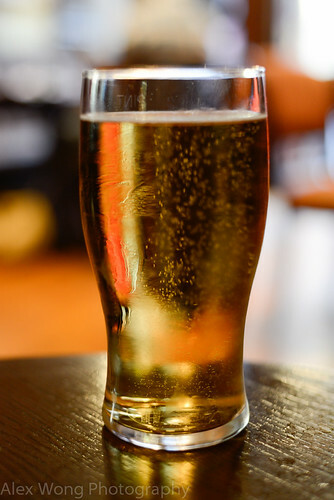 If cider is not your cup of tea, there is always the myriad of beers and ales that would satisfy the thirsty traveler. My return to the UK was definitely a nostalgic journey, from visiting my old High School, to getting reacquainted with old friends, relatives, and teachers, and to catch up on some British foods that I grew to love. Yes, the food scene has changed considerably in the last 3o years, and various international influences have made roadways into the local eats. So, when you are in this part of the world, discard what you have heard about English eats, and be open-minded to some wonderful culinary creations that can even surprise anyone – you may find a favorite among the many dishes.